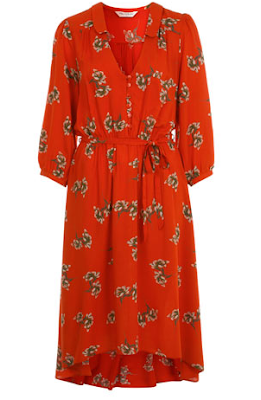 A vibrant yet sensible day dress that's very Miu Miu '40s-romantic. P.S. I think the black accessories are important because they help toughen up the dress (i.e., so it doesn't look so matronly.) My twin sister, who has a more downtown sensibility, thinks mannish brogues would be perfect with this dress. Try these.